In my previous blogposts Global insight is key to remain competitive in Commodity Trading & Do commodity traders have the information the need to tackle the ever increasing complexity? I argued that the changing role of commodity traders and the ever increasing complexity of the commodity value chain requires highly efficient IT and data architecture to manage this supply chain and gain competitive advantage. In this blog I will provide an overview of Cadran’s CTRM4JDE solution, as recently implemented with a large dairy trader in the Netherlands. And show that this solution provides the required tools for commodity traders to manage the complexity of their value chain. As highlighted in the previous blogs, a commodity trader manages the value chain from contract to cash, monitoring and securing profitability. In order to support the value chain, an integrated IT solution is needed that covers that same chain. Functionality should be included such as trade capture, M2M valuations, logistics service, manufacturing, planning supply and demand and AR/AP. CTRM4JDE provides an integrated platform that facilitates exactly these areas. Profitability calculation on contract-level during the complete lifecycle of the trade. 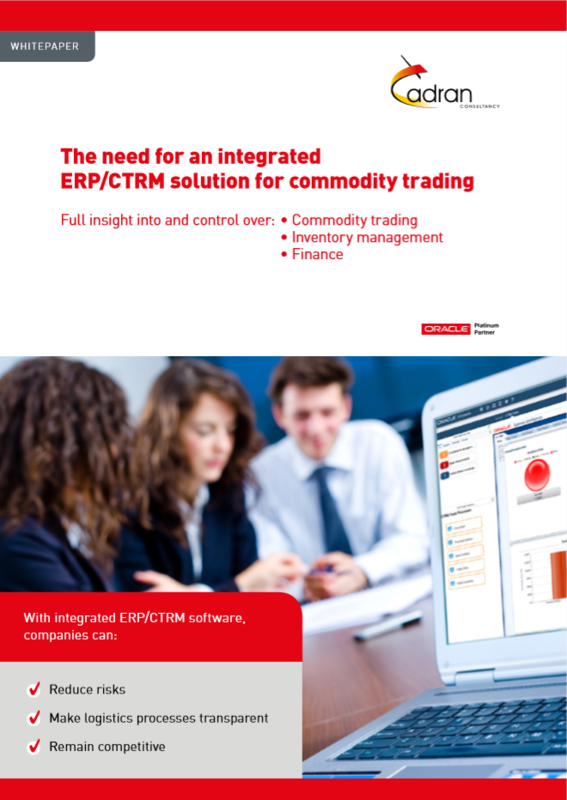 The ability to cover and manage the full value chain for commodity trading with Cadran’s CTRM4JDE solution opens a next opportunity: the integration with Oracle BI. Using the normalized and centralized data entities from CTRM4JDE with the integrated technology of Oracle BI and JD Edwards delivers a unique platform to rapidly transform data into steering and action driven information. Our experience with implementations of CTRM4JDE shows that a substantial part of the added value can be unlocked by using BI4JDE. 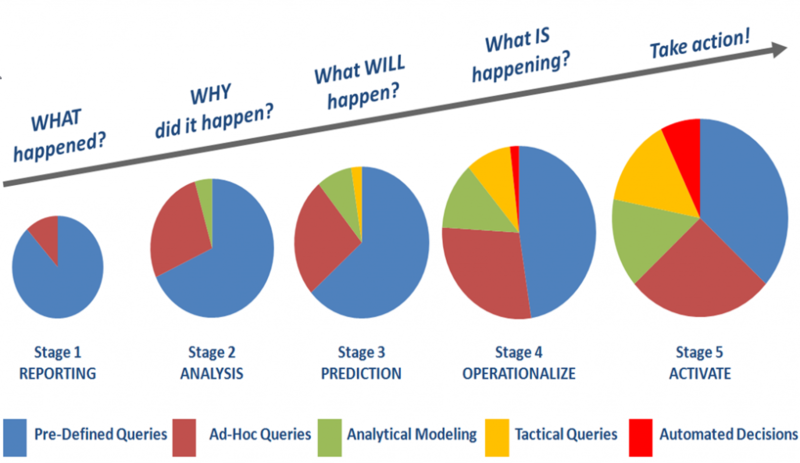 Using BI capabilities allows commodity traders to create prescriptive analytics showing the likely outcome of decisions and effects on profitability instead of simply accessing historical data and presenting it as a “static report”. As described in my previous blogs, suppliers tend to use more and more options in (long-term) supply contracts where customers are getting more demanding concerning quality, specification and services for specific deliveries. This leads to complex logistics decisions in the area of allocation and transportation with direct impact on profitability of transactions. CTRM4JDE has proven to provide the flexibility and “loose coupling” between contracts and physical delivery to allow logistics to select and provide the best match for each sales delivery taking in account the contract boundaries versus customer demand. 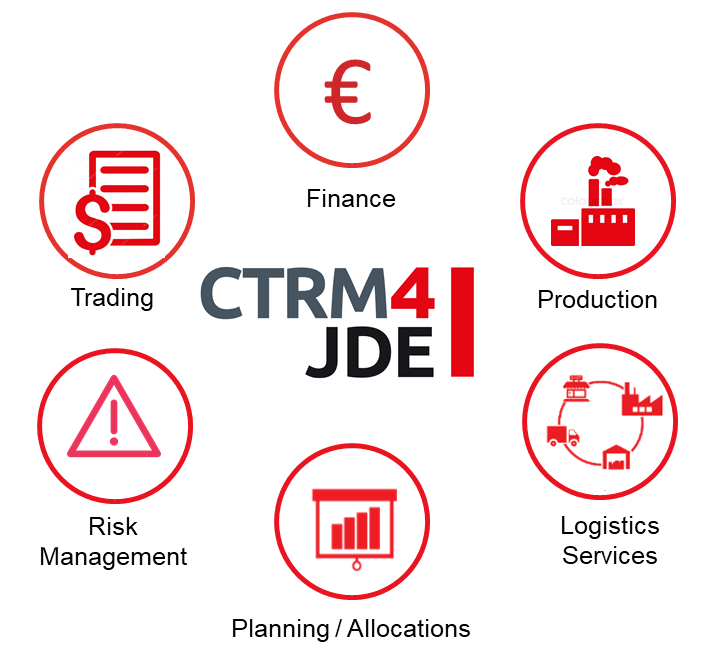 Providing enhanced planning and allocation functionality for logistics services CTRM4JDE allows the commodity trader to manage and optimize its value chain during execution and delivery. Reduction of operational risk and increasing financial transparency allowing traders to optimize their profit. This blog is a third part in a trilogy on main changes in commodity trading, supply chain development and the relation to required IT and data architecture. Blog part 2: Do commodity traders have the information the need to tackle the ever increasing complexity?